Adv. 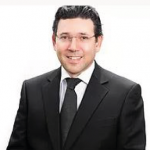 Nadel is the Chair of the firm’s Import, Export and International Trade Law Practice. Adv. Nadel specializes in import and export law, indirect taxes, maritime law and international forwarding, and also represents clients in complex litigation proceedings relating to these matters. ​Adv. Nadel is considered as an expert in these fields and possesses significant reputation. He provides his clients with comprehensive legal consulting on a wide array of matters in the fields of customs and international trade, including providing professional opinions and conducting indirect tax planning; handling retroactive assessments and drawbacks; handling the verification of certificates of origin; advising on antidumping duties; obtaining tax rulings from the Customs Authority; advising on international trade agreements (Free Trade Areas and WTO-GATT Agreements); and more. Adv. Nadel has been accompanying the legislation and regulation processes in the import field for many years, and possesses widespread working relations with the policy makers and enforcement authorities in the field. Among Adv. Nadel’s clients are Israel’s leading importers, exporters, and industrialists, leading international companies, customs agents, international forwards, insurers and other entities which handle international trade and international forwarding.